Last week at the Waverley Amateur Radio Society monthly meeting there was a fascinating and well-prepared talk from Justin Lavery VK2CU on the history of the Heathkit company. The scene at the front of the clubroom was not unlike this great shot from the website of Fred W1SKU. Only there were more pieces of equipment on display! Justin’s clearly been collecting for a while, specialising in valve gear and the SB series. 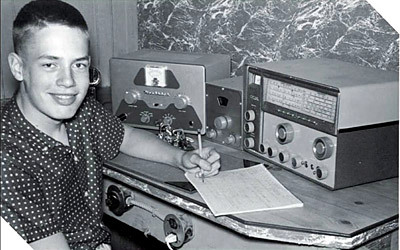 He had a stash of catalogues dating back to the early 1960s which evoked memories for many of us there old enough for Heathkit – even on the other side of the Pacific Ocean – to have been a radio icon. Justin filled in the deep history of the company, with its kit airplane beginnings through to its heyday when it actually made economic sense to build your own colour TV! He also managed to evoke the history of the time – which is some achievement for someone who I don’t think was actually alive for most of it! MAKE magazine beautifully evokes the times and the anticipation – those long painful delicious moments between posting the order and the kit arriving. I was especially interested in observations about how the fortunes of the company were in synch with a strong tradition of making it yourself – which seems to be a core part of both the US and Australia. We both have frontier experiences still in our recent folk memory. 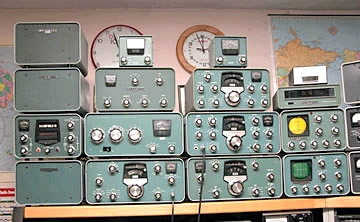 I wonder what Heathkit would make of the kit market today if they were still around. They certainly set a benchmark. And they certainly sold a lot of kits over the years. So it was an interesting coincidence for me at least that on the same day as I’m thinking about Heathkit and how I used to long to own an HR-10 and a DX-60, I received my Genesis G59 Mk2 SDR transceiver kit. The Genesis G59 is a very exciting sounding project. I believe I’ll have a pretty impressive SDR transceiver once it’s complete. While GenesisRadio is more cottage industry in scale than Heath – who grew so much they opened a factory in the UK – the quality is there where it counts. Part of the decision to take the plunge was an estimation of the support both from Nick Hacko VK2DX and the online community of builders on the Yahoogroup. The then and now comparison shows how much kit building has changed. Kits now can be delivered across the world in days. Speedy support from a global network of enthusiasts is available via email. Documentation is able to be kept up-to-date and builders alerted to important developments. And most amazing, of course, the firmware can easily be updated and improved. The key to the success of all of this is the social glue of the builders online. That’s another reason not to delay the build and to glean maximum advantage of the communal energy available there. The Genesis documentation is clear with excellent photos. Not the component by component style of Heathkit, but totally adequate. 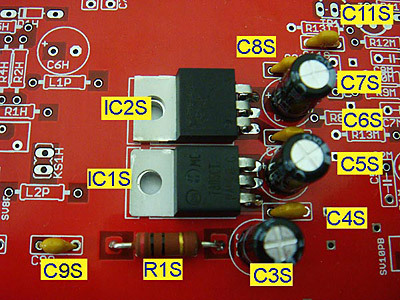 So far I’ve completed phase 1 successfully (the power supply) and am in the middle of the second phase (the microcontroller circuit). I’m taking it slowly and really enjoying those moments at the end of the night when I can get to it. That lateness is the one reason I’m taking it slow. The other is – I really enjoy this part!